Many dentists ask us for advice on a very specific issue: marketing. We all know that a certain amount of effort and resources are required to get your practice in front of potential patients. But, how much investment is appropriate? It’s an important question, but we approach the problem from another direction – what happens when your marketing really works? A recent study found that only 35% of calls into your practice actually convert to appointments. Other research shows that it’s even worse – only 20% of calls convert. Your marketing may be getting prospective new patients to call your office, but the vast majority of those patients will end up visiting some other practice. From a marketing perspective, that’s a tragic misuse of money. Consider how much investment of time and energy each potential patient has made when they dial your number: They have acknowledged a need, found and researched your office, located your phone number, made the time to call, and then physically picked up the phone and dialed. That they overcame so much to connect that call with your office is remarkable. Don’t let it go to waste! There is hope. Here are three simple things your front office staff can do during an initial new patient call to improve your call-conversion percentage. Patients enjoy being identified as unique individuals, and the easiest way to do that is to ask someone his or her name and then use it in conversation. Dale Carnegie, author of “How to Win Friends and Influence People,” says “Remember that a person's name is, to that person, the sweetest and most important sound.” It’s quite remarkable how simple it is to begin building rapport with a caller by using their name. And yet, research reflects that only 1% of front office team members ask for a name when taking a call. What an amazingly easy thing to change.
" . . . a person's name is, to that person, the sweetest and most important sound." 2. Don’t reactively answer the caller’s initial question(s). 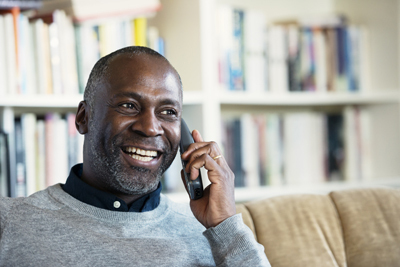 In nearly every case, a potential new patient calls your office and begins the conversation with a question: “Where are you located?” “How much for a crown [or insert treatment]?” “Do you have any new patient specials?” It’s how consumers are trained to interact over the phone with businesses. But the true nature of the call is often quite different than what the caller leads off with. Patients often only have a general idea of why they need dental care (traumatic cases are obviously different) and need helpful guidance from a professional. So if the front desk team member takes a call and instinctively answers that first question, chances are that the patient’s real needs will never be addressed, or worse, they get booked for the wrong kind of appointment. Instead, train your front office team to use a “transition statement” to gently deflect the caller’s initial question in favor of an “investigation” that will reveal the true dental issue. Get the caller’s name and then say: “I’d be happy to answer your question [Caller’s name]. May I ask you a few questions so that I can better assist you?” This simple phrase helps you to smoothly and politely guide the conversation so you can uncover the caller’s true need and sets up the remainder of the call so the patient is assisted in the most effective manner. It is well known to marketers that if you don’t “tell” people to buy your product, they never will. And that behavior translates to the dental practice. Now, we absolutely do not advocate that you manipulate or trick a caller into making an appointment by saying things like “We’ll figure out your insurance when you get here” when you know that you don’t take insurance. BUT, after finding that your practice can meet the needs of the patient, it is very important that your team actually asks the caller to make an appointment. Indeed, you may find that a polite but assertive “Let’s go ahead and get you scheduled,” is extremely effective. Don’t passively assume the caller will choose to make an appointment. Gently guide them in the direction that is best for them and for your practice. These three suggestions seem simple, but as with all things, even remembering to ask for a patient’s name and using it in conversation typically doesn’t come naturally. Your front office team must train, and train consistently, in these skills and others in order to improve your conversion rate. If you’d like to learn more, sign up for this powerful online training event: Dental Practice Excellence – 3 Steps to an All-Star Practice. This free webinar will explore the impact of customer service training on improving phone conversion, eliminating "no-shows," and reducing staff turnover. It will also look at the external forces that are shaping the business of dentistry, and how small improvements can lead to a big impact on your bottom line. Click here to register for a time and date that works best for you. Show up, put what you learn into action, and reduce the impact of broken appointments on your bottom line. 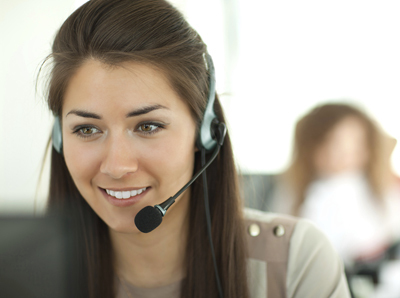 Your practice will unquestionably benefit from consistent phone conversion training. Get it going in your practice as soon as possible, and get the most out of every dollars spent on getting potential new patients to pick up the phone and call.